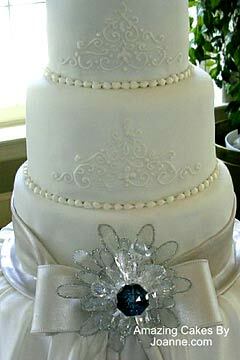 There's something classy and exquisite about a silver wedding cake. 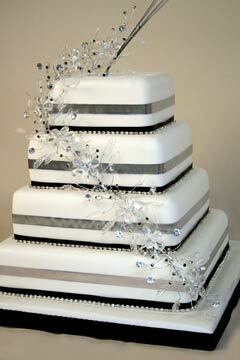 Tall, metallic and modernistic, it's almost a shame to cut the cake for everyone to share. Almost. 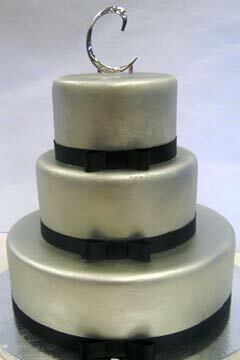 The fact is, some of the most brilliant of all cakes have been silver cakes. 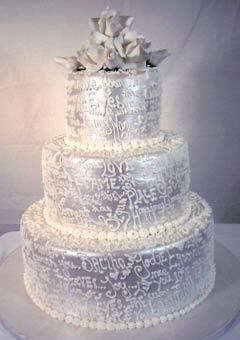 There is always an audible gasp when the silver cake is wheeled out and revealed to the party. Is it edible or just there for show? It's only when the sumptious interior revealed for the first time that the wedding party realises the amazing construction before them is their's to share and enjoy. 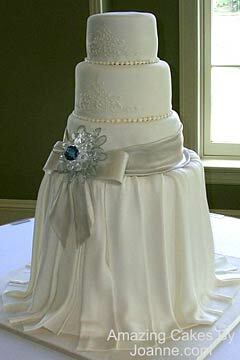 Such is the awe and wonder of silver wedding cakes. 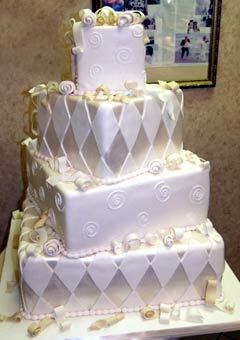 Always amazing, always impressive, these cakes are often part of a special theme. 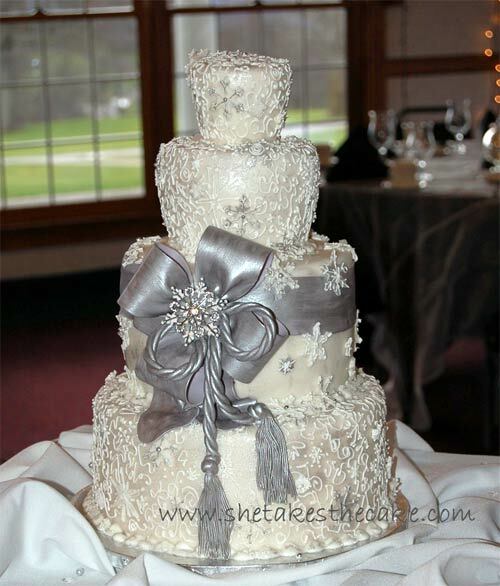 Let these beautiful cakes be an inspiration for your silver wedding.